This detached mobile home with all comfort has a private parking. 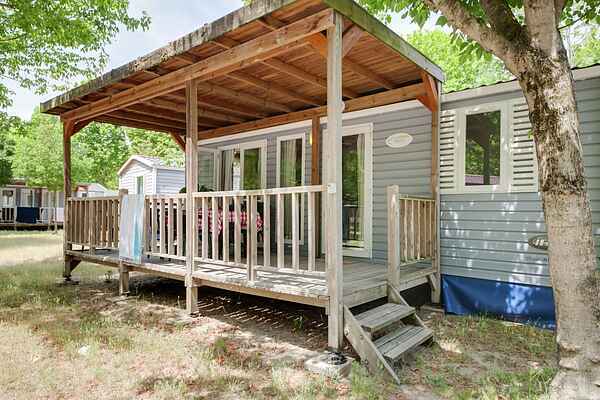 The holiday park, where this mobile home is, offers many services that you can use including restaurant, supermarket, swimming pool, entertainment and a wifi point. The additional person (over 4) pays only from 8 years. Dog (up to 30 kg) accepted against payment. The bed linen and towels must be booked at time of booking and costs € 10,00 per person per change. Dogs of small / medium size are accepted against payment if it has been previously comunicated. Please visit: Bologna, Rimini, Ravenna, Ferrara, Comacchio and Cesenatico.